SPECIAL DEAL - Usually 7.99, today just 4.99 - Save £3! Pitcher plants are carnivorous plants whose prey-trapping mechanism features a deep cavity filled with liquid known as a pitfall trap. Foraging, flying or crawling insects such as flies are attracted to the cavity formed by the cupped leaf, often by visual lures such as colour pigments, and nectar bribes. 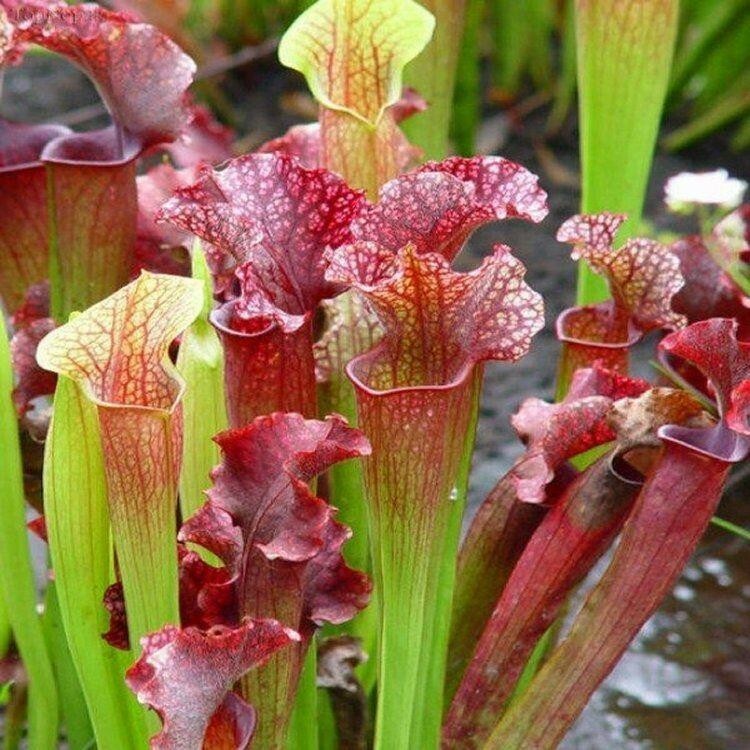 The sides of the pitcher are slippery and may be grooved in such a way so as to ensure that the insects cannot climb out. The small bodies of liquid drown the prey insects, and the body of the insect is gradually dissolved. It is from these that the plant obtains its mineral nutrition. 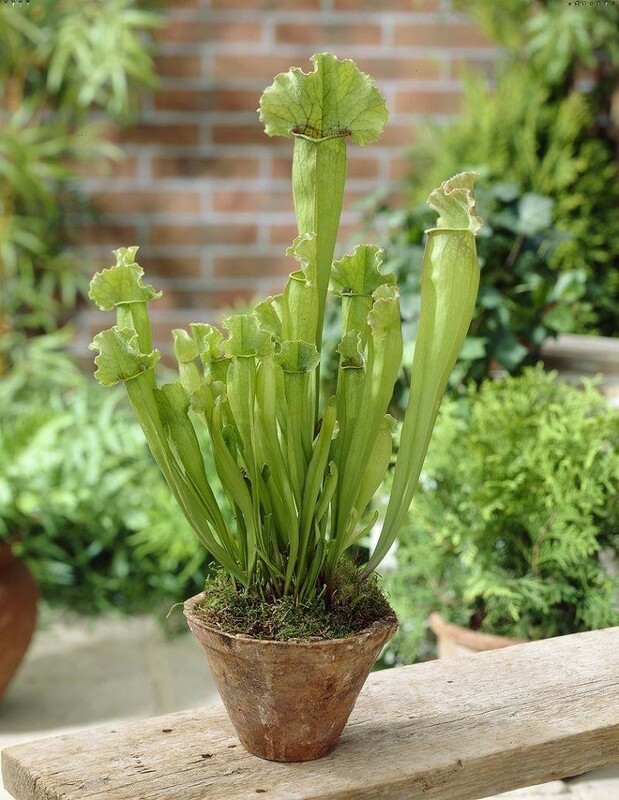 Like all carnivorous plants, they occur in locations where the soil is too poor in minerals and/or too acidic for most plants to be able to grow. Supplied as an established young plants ready to catch bugs and insects. They can even attract pesky slugs and snails if planted out in to the garden. SPECIAL DEAL - Large 80-100cms Citrus Tree - LEMON - Perfect in Gin! SPECIAL DEAL - LARGE 1.8m Hardy Sharon Fruit Tree - Diospyros kaki Specimen - Grow your own Persimmons!